The Flashes of Two Cities - Barry Allen and Wally West - battle the undead Rogues. 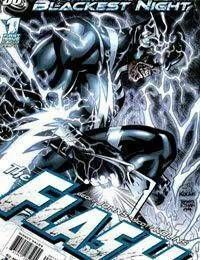 Will the legendary speedsters be able to handle the Black Lantern Rogues revenge? Plus, witness the resurrection of Barrys greatest enemy, the Reverse Flash in this hyper-speed miniseries event reuniting the fan-favorite FLASH creative team of Geoff Johns and Scott Kolins!